Charleston Boat Detailing delivers the highest standards of excellence in our boat maintenance programs. From 18 foot flats boats to 100 foot yachts, we have been providing quality service for more than a decade. We offer wash downs, cleaning, varnish, teak care, waxing, monthly maintenance, light carpentry, canvas waterproofing, caulk work and painting. We’re fully mobile and come to you to do the work. Servicing all Charleston marinas, boatyards and private residences. Regular wash downs are just the start to our customized monthly maintenance programs. With this service your boat is maintained regularly and is ready when you show up to use it. We tailor each monthly maintenance package to the individual needs of you and your boat. 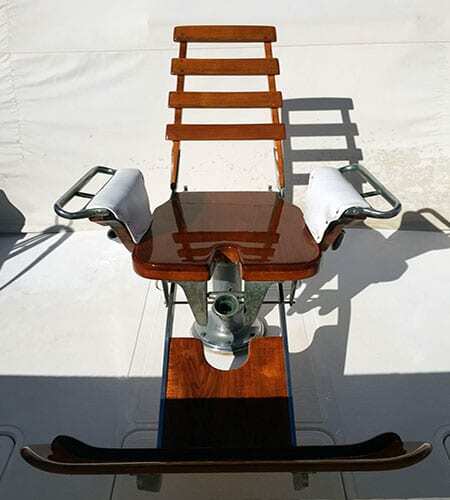 Professional teak care is a necessary priority for overall boat maintenance. We specialize in high end bright work. Both interior and exterior services are available. Our service guarantees your woodwork will look immaculate. We offer quality boat detailing services in Charleston, SC. Looking for wash downs, interior or exterior detailing, or waxing and oxidation removal? Let our experienced professionals take care of your boat.